Love this earthy beauty! 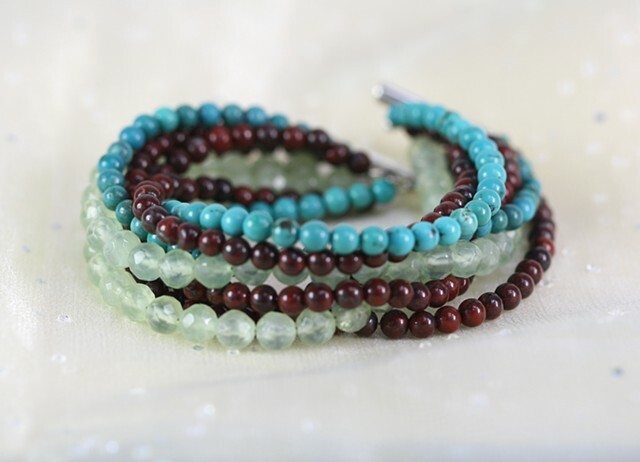 Eight strands of semi-precious gemstones: turquoise, flourite (light green), and poppy jasper (red brown). Really fun to wear! Shown here with sterling slide clasp. May also be made to order with Fine silver toggle clasp. Approx 7 3/4"